March 31—the last day of March! Hopefully April will bring us nicer, warmer weather. On Saturday Mose cooked up the rest of the sap into maple syrup. Our trees are done now for this year. I think we have more than a year’s supply of maple syrup now. 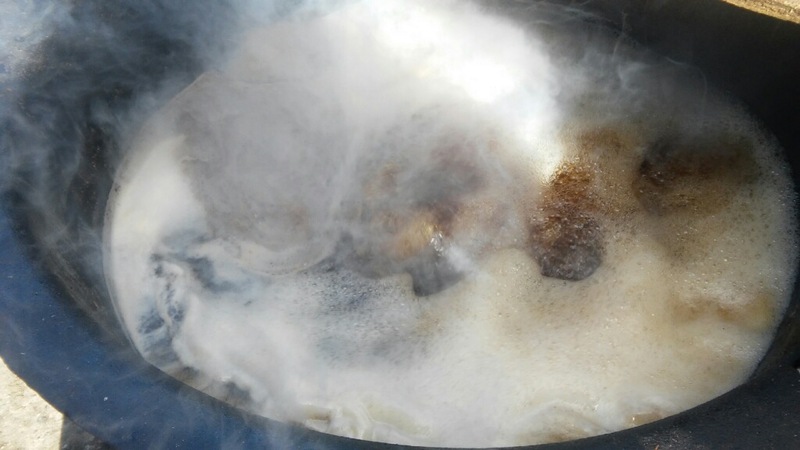 It sure takes a lot of work and time to cook maple syrup! The Eichers finished making maple syrup last week. Saturday evening we attended the annual spring program for the school. Around 40 youth were in the program. It takes a lot of work for these boys and girls. It was held at our local community building and lasted three hours. They did a good job! Everyone was treated to popcorn after the program. Sunday forenoon Joe and I and daughters Verena, Loretta, and Lovina and sons Joseph and Kevin headed for Berne, Ind. Sisters Verena and Susan, sister Emma, her husband Jacob, and their sons, Benjamin and Steven, also went with us. We attended the viewing and visitation of a friend. Our sympathy goes to the family. We visited with sister Liz and family at the visitation. We stopped in at brother Amos and Nancy’s house and visited with them. Our next stop was with sister Leah and Paul. We had nice visits with everybody and were served good snacks at both places. It was good to see everyone again. We also visited with some friends, uncles, aunts and cousins at the visitation. We arrived back home around 9:00 p.m. Daughter Verena is mopping our floors and then plans to bake cookies. Her cookies don’t last too long around here. This time she plans to make peanut butter cookies. Tomorrow she is starting a new job, so I will miss her help on the days she will work. She isn’t sure how it will work out, but hopefully she’ll like it. Next week our four school-aged children will be home for spring break. Joe and I and some of the children plan to attend the wedding in Rochester, Ind., on Good Friday. Our blessings to Joe’s cousin Benjamin and Elizabeth. May God be their guide as they unite in holy matrimony. Three more couples in our community have been published for May and June weddings. It looks like wedding season is in full swing. Easter is on Sunday. Hopefully the children can color some eggs on Saturday. A blessed Easter to everyone. Let us remember what this day is about—that Jesus died for all of us so that our sins can be forgiven. 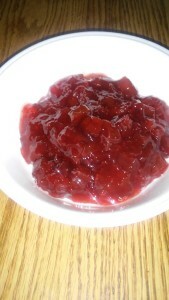 This week I’ll share my rhubarb jam recipe. I have had several requests for it, so I want to share it before the rhubarb is ready to use. This week Lovina readies readers for spring by sharing her recipe for rhubarb jam. Combine rhubarb and sugar and let stand in the refrigerator overnight. The next morning boil for 5 minutes, stirring constantly over medium heat. Remove from heat and stir in gelatin until dissolved. Pour into jars and seal while hot, or freeze. That sounds a lot like my mother’s rhubarb preserves recipe! It was delicious!